Hello! Hope everyone is well and surviving the horrendous UK weather. My heart goes out to all those caught up in the floods. The rain has been merciless. Do take care out there! So onto cheerier things! We’ve gone a bit spotty today at the Cutie Pie Challenge Blog and we’re hoping that it is contagious!! What am I going on about? Well our new challenge starts today and we would love to see your cute creations using Spots & Dots within the design. But please don’t forget to make it cute as in adorable! I think the definition of cute is becoming a bit blurred at times but if the image is sweet and makes you go Awwwwwww! then you’re on the right track! who are offering a $5 gift certificate to one lucky individual. The DT were fortunate to be allowed to choose an image from the From the Heart online shop which was nigh on impossible, so many beautiful things, but in the end I picked Bunny Hello. Too cute! I recently came into possession of the brand new Spectrum Noir pencils (sounds a bit dodgy that, like they fell of the back of a lorry… don’t worry Del Boy was not involved and I did pay for them) and this is their first outing! These fab pencils come in so many scrummy colours but for some reason I chose to colour in greyscale with a splash of pink!! Hey ho! I printed my little girl and wabbit on Neenah Solar and once coloured I stamped round the edge. To further incorporate the spotty theme I added dots to the flowerpot. The rose is made using the Sizzix 3D Flower Bigz die and the ribbon I found in the bargain bin at Hobbycraft. The sentiment is from LOTV which is a change I made after submitting my photo to the DT blog. Oooops! Pop over to the Cutie Pies blog to join in the spotty fun and be inspired by all the lovely creations made by my fellow Cuties. Such a gorgeous card Jane. I love the sweet image, beautiful colour scheme and your design is fabulous. Gorgeous card....great eyecandy....thanks for joining us at Divas by Design! Gorgeous card Jane - such a cute image and I love the colour combo. That is nothing less than stunning Jane - really stunning! This is a beautiful card with a gorgeous image. I would like to thank you for sharing it with us at Diva's by Design. WOW this is gorgeous Jane! Such a sweet image, fabulous colors and I love that lattice die! Thanks for joining us at Alphabet Challenge Blog! beautiful card Jane, and really cute!!! love the monochrome colours with a splash of pink and the amazing die!!!! very good job with the pencils! image is beautifully coloured. thank you for joining us this week at Scribble and Scrap ! Jane this is sooo lovely, I love the colour scheme you have chosen, lovely design too! Cette carte est vraiment ravissante ! Stunning! I love the gray coloring with just the touch of pink! Perfect! Thanks for sharing this with us at Crafting From The Heart, I hope you will join us again soon. 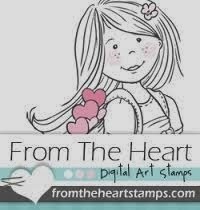 Love the colors, love the dots, love that lattice background, love the super cute image...just love your card! Thanks for playing along with Eureka Stamps. Love the striking colour scheme! And the paper flower and bow in the top corner are just perfect! Thanks for joining the Sentimental Sundays Challenge, hope to see you again soon. Great card. Love the colors and ribbon. Thanks for playing at Crafting from the heart. Hope to see you next time. Good luck. This is stunning Totally love this one. The colors and layout are fab, and the image is adorable. This is beautiful and such a fabulous layout! Thanks for sharing at The Paper Nest Dolls this time.